NIKOLAS CRUZ Needs Our Help! Clearly he’s been framed. Has anyone thought about that? Update: Prosecutors are requesting the death penalty for the innocent Nikolas Cruz. Literally and figuratively a FALL GUY. 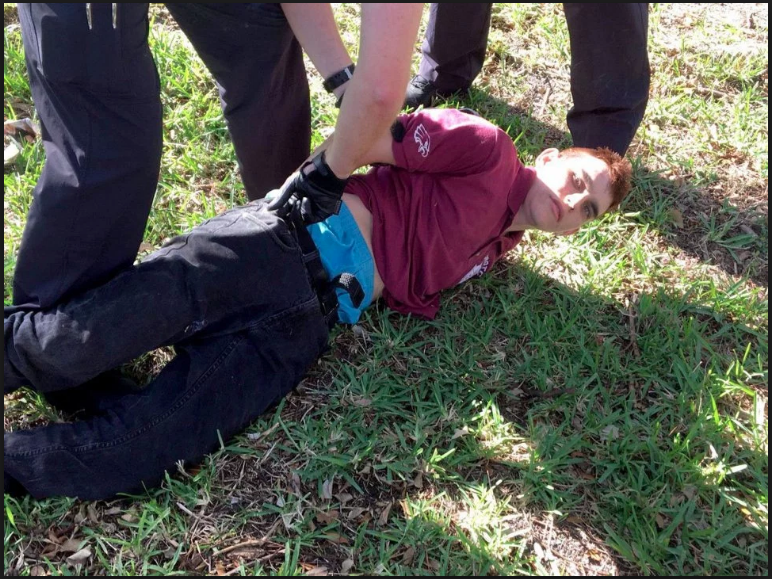 Who made Nikolas Cruz the fall guy for the Parkland shooting? And why? evidence proving his innocence, what is to become of him? Don’t the truth seekers and patriots have a moral obligation to assist a young man who has been so wronged and victimized? Just look at these photos: Who told Nikolas Cruz to keep his head bowed low and not to make eye contact with anyone? It’s as though he was ordered by his handler(s) not to make eye contact with anyone. Why…for fear of revealing the truth that he is truly innocent? All the evidence available to date demonstrates that Nikolas neither fired a single shot nor brought a rifle to the Stoneman Douglas High School. It was impossible for him to gear up in “full metal garb”, and then remove the “full metal garb” as it was reported by the teacher. “FULL METAL GARB”! The Real Shooter(s) Was A Professionally Outfitted Military Commando. KEY POINT #1: The only conclusion is that there was a massive and complex conspiracy hatched to portray Nikolas as a mass murderer. The MSM narrative alone was meticulously constructed with an extraordinary number of news reports that depicted Nikolas as the lone shooter (even though every investigator in Florida knows there were multiple gunmen). KEY POINT #2: It does appear that Nikolas was being drugged prior to and after the mass casualty event so that he would have the look of a crazed killer. His behavior throughout the entire post massacre period was quite odd and not typical for someone who just committed premeditated mass murder. Clearly his handlers used powerful psychoactive drugs, together with mind-control techniques, to induce his strange but predictable reactions. KEY POINT #3: Cui bono? Who really benefitted from a confession being conveniently extracted from Nikolas. Especially when the alleged weapon was inaccurately identified as a semiautomatic AR-15 assault rifle, which has also been under withering assault for decades by the ever duplicitous gun control lobby. The transparently fake confession was the only way for the real perps to control the MSM narrative necessary to quickly change the laws in Florida, which they did. KEY POINT #5: Everything points to Nikolas being victimized just like the innocent Timothy McVeigh was after the Oklahoma City Bombing. They executed Timothy by lethal injection to send a message to all militias, gunowners and patriots that armed dissent of any type would not be tolerated by the government. The Savings and Loan scandal had previously seen farms stolen from many independent farmers and their communities were justifiably outraged. There are so many other pieces to this false flag puzzle that demonstrate Nikolas was set up as a patsy. When each piece is put into its proper place, the full picture of this glaring psyop can be properly viewed. Only then does the obvious framing of Nikolas Cruz make perfect sense: the real gunmen (2 or 3 according to eyewitnesses) needed a scapegoat for their cold-blooded murders. Which begs the question: What are We the People going to do about it? 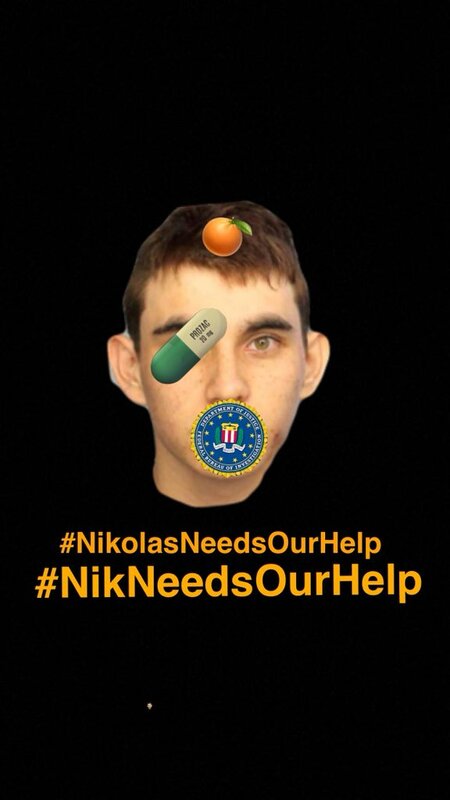 Nikolas Cruz is just one of many innocent young men in America who have been captured by the CIA’s MKUltra mind control program and cruelly victimized in this manner. The incessant execution of false flag mass shootings only means that more blameless patsies will be similarly abused in the future. What if one of these terribly maltreated scapegoats was your dear son? Or beloved brother? Or precious grandson. Or close friend? Or fellow student or teammate or coworker? Truly, every teenager in the country is now vulnerable to being “transformed” by the complicit Mainstream Media and Law Enforcement into a mass murderer. Think about that: the Nikolas Cruz story can become any young man’s story. Please be so kind as to share this important plea for help. If every person of conscience widely disseminated #NikolasNeedsOurHelp, think of what might happen. If all the concerned folks featured this twitter campaign on their Facebook page, just imagine what could transpire to assist Nikolas in his moment of greatest need. If the YouTubers and Instagrammers and Snapchatters produced compassionate content advocating for Nikolas—WOW! By signing this petition you can help save the life of Nikolas Cruz. Many thanks! PETITION: Nikolas Needs Our Help!